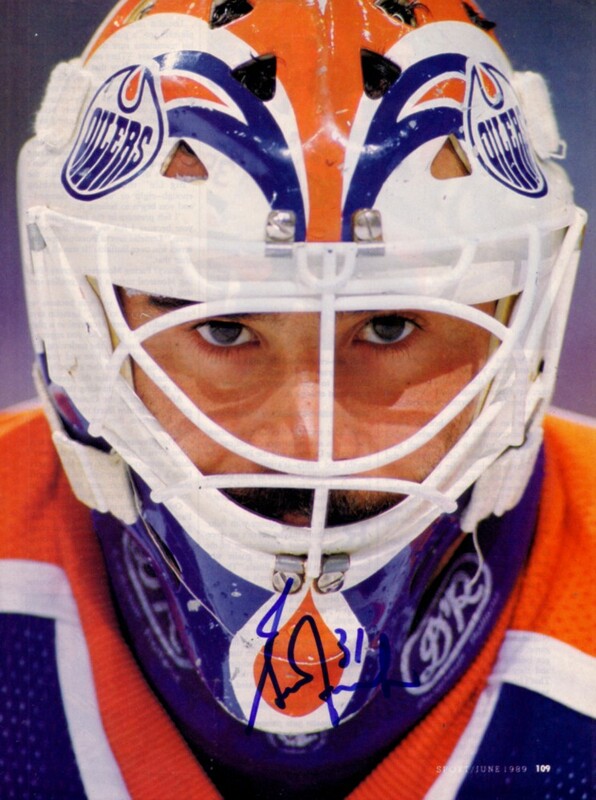 Full page Edmonton Oilers magazine photo autographed in blue by legendary goaltender Grant Fuhr. ONLY ONE AVAILABLE FOR SALE. Obtained in person at celebrity golf tournament. With certificate of authenticity from AutographsForSale.com.